View More In Block Printing Ink & Blocks. 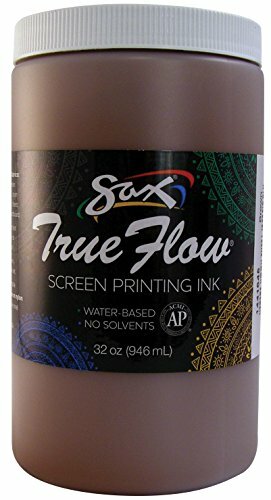 Sax True Flow Screen Printing Ink in brown comes in a container of 1-Quart capacity and is wash fast when properly heat set. Ink can be used on cotton, poly blends, linen, rayon, synthetic, fibers, paper and cardboard. Non-flammable ink comes with no solvents and offensive odor. If you have any questions about this product by Sax, contact us by completing and submitting the form below. If you are looking for a specif part number, please include it with your message.